Click the button below to add the Men's Skin Care Moisturizer to your wish list. Guys did you know that if your skin is dry and cracked it then is exposed to dangerous bacteria and pathogens that could lead to some real health concerns? Don’t let this happen to you. This moisturizer is the solution, it provides a moisture barrier against the environment keeping you safe while looking good. This is an all-in-one, 12-hour moisturizer formulated for men soothes, nourishes and comforts, and can be used for face, body and hands. Great for beards too! Imagine, this can be your gateway to smoother younger looking skin and keep wrinkles and fines lines away. This lightweight, quick-penetrating treatment made with vitamin e infuses skin with intensive moisture with potent antioxidants, essential nutrients, and fatty acids for a healthy, improved appearance. NO BS! Real Ingredients that get the job done. No harmful preservatives or artificial ingredients. Banish dry skin with natural botanicals like kukui, apricot, and hazelnut oils with essential oils that deliver long-lasting, rich moisture and a smooth, lightweight feel. Antioxidant rich, gentle formula for men to repair damage, prevent dryness and minimize the effects of environmental factors. This serum for men is amazing! I use it for my face and my beard and I am in love! It absorbs so quickly and leaves your skin so soft. I had always been too afraid to try moisturizers on my face. Tried it once and was in love. This is light but rich to provide the moisture my skin needs. I also put this on my hair and it soaks right in. Great. No fake artificial smell. It smells real natural and works well on my skin. I use it all over my body and it honestly keeps my skin hydrated. My wife was even complimenting me and asking me what I’ve been using. If I could give this product six stars I would. Not sure where to begin. My husband’s hands and arms where HORRIBLE from the intense labor job he does as a welder. He’s not fond of store brand lotions because they leave his skin greasy. Since purchasing Just Nutritive Men’s Skin Care moisturizer his skin has looked moisturized and healthy. Will continue to purchase this. Love using this all in one moisturizer I hate having to use numerous products to do one job. I have tried several other companies and this is by far my favorite hands down. I wasn’t to happy with the natural sent but my skin feels soft and does not irritate me anymore from being dry. Works and feels amazing. I was completely against using these natural products but my girlfriend purchased this for me and it took me a few days to cave in but I am glad I did. Overall it keeps my skin soft all day without me having to reapplying it. This skin care moisturizer is awesome. All in One is right! After reading the ingredients I decided to use it in my beard as well. After 1 month of using it my beard has never felt so soft and healthy. The price is incredible for the amount and everything is does. Worth every cent! After shaving my skin is sensitive and becomes dry. I had used many aftershaves to combat this and it only made matters worse. I decided to use this post shave and no irritation! My face two days later still feels great with no razor bumps etc. Has a unique smell that does take time to get use to. I have very dry skin and living in Minnesota only makes matters worse. Word to the wise be careful how much of this you apply. A little goes a long way, I used to much and my skin felt greasy all day long. Overall product works good. What can’t this product do? I bought this for the purpose of keeping my face and body moisturized all day long. For me this works well but I was on vacation and forgot my tanning oil and decided to use the Just Nutritive Skin Care Moisturizer. My tan was ridiculous. I sat out for 20 minutes and my tan was dark. This is definitely an all-in-one product. Working in construction my skin is exposed to the harsh environment. Now I will say scent is strong but whatever. 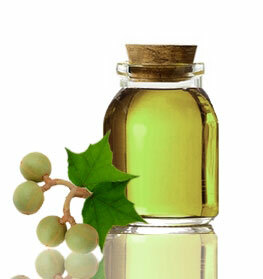 The oil is not greasy and the effects last all day. After a long day on the job my skin feels soft and not damaged. Will definitely checkout other products from this company. Wish product had a more masculine scent. I apply this right after I dry off after the shower. Even during the winter months, I only have to apply it once a day. Great product just needs a manly smell. Not greasy which is great. Good all day protection and you get a lot for buck. I am satisfied with my purchase. I have been using this product daily for almost 6 months and couldn’t be happier. Many of my co-workers have commented on my appearance, asking what I’ve been using. My skin feels moisturized all day long compared to normal creams and lotions from CVS that I would have to constantly re-apply during the day. A nice product for very dry dehydrated skin. The profile of the essential oils and extracts in this bottle is insane. Overall good just a bit expensive. I enjoy this product a lot but my wife I think is even happier. I have terrible dry skin and my hands are dry and torn up from work and working out. This has softened and hydrated my skin beyond what I expected. Just make sure to apply a small amount and read the directions. The essential oils can be heavy if you apply to much at one time. I only apply this during the winter because my skin becomes dry and starts itching constantly throughout the day. This really does help. Just wish the smell was not as strong. ALL IN ONE is an under statement of how great this product is. I use it every day as a daily body moisturizer and once a week to keep my beard soft and hydrated. The compliments I receive on my beard is remarkable. Just Nutritive you did it again! Purchased this as a gift for my boyfriend. After a week of using it he let me know how much he loved it. He said he uses it after the shower and after he shaves. I think I will be buying it again for him. My wife got this for me so I guess my skin for he was becoming an issue. In all seriousness she had be advocating to me I needed to start taking care of my skin. Other skin products I have used leave my skin feeling greasy. This one absorbs into my skin rapidly and last all day long. I would give this a 4 but I wasn’t to satisfied with the smell. Two months in and I could not be happier with this product. My complexion looks and feels better and my family has even noticed. No problem with it being to greasy and once I apply it I forget its on. I use this more for my face and beard then I do for my body. For some reason my face is always dry when I wake up. After I hop out the shower I now apply this moisturizer. Honestly this product has worked after only using it for a few days. Incredible product hands down! Old Dogs Can Still Learn. Being a guy in his 40’s I am doing what I can to keep my skin healthy and moisturized. I thought I was doing enough using topical lotions and creams from my local pharmacy. After a friend let me try his I was sold. This has made a difference and I am glad I made the switch. Smell did linger but that’s the only negative. wow wow wow. Not sure what else to say. I got this for my husband a few months ago and he as loved the results so much that I decided to try it. I was blown away at how well it kept my face and body soft and moisturized. I actually have thrown out some of products because this product works better and is more convenient. I have been buying products from Just Nutritive for the past year. This product is ridiculous good. Now, it is expensive and takes a little getting use to the natural smell. But you will notice the difference immediately. I am sold. Three weeks into using this product and my skin has never looked or felt so good. I have had trouble finding a moisturizer that would not irritate my skin like others have. I have very sensitive skin and the essential oils have not bothered me. One thing not sure if its in my head but my skin has felt firmer since using this product. Excellent oil. Does everything- after shave, scalp moisturizer, body oil. I’ve only just received the moisturiser two days ago and at this point I’m very impressed. I already know how good Kukui oil is , but with the extra ingredients the product eclipses it. Thank you. I started using this product two weeks ago and it exceeded my expectations. I use it after shave irritation and for the whole body. seems to me a very good misturizer,will be esp good in new mexico, when we go back for 4 mos using it after swim,so far good product,having ised alba quite a lot in the past. This skin moisturizer Is good. The way it makes my skin feel is incredible. No longer is my skin dry. The callouses on my hands and elbows are gone. What’s interesting is that people ask if I am taking anything because they say my skin looks better and younger. Just Nutritive is right this is a miracle in a bottle! Just apply at first to get use to product. This would easily get a 4 or 5 but personally, the smell for me was too strong. The product works amazingly. It really kept my skin moisturized all-day which is great. Just be careful how much you use. It does soak in quickly and doesn’t clog your pores. I personally thought it was better than my typical beard oils that I purchase. Please, Just nutritive use some oak smell or cedar wood. I’ve used many moisturizers from typical commercial brands found in local drugstores to ridiculous expensive products online. Anyways there is only one name to know: Just Nutritive. This men’s moisturizer is incredible. Even though I am in my 50’s this has really helped make my skin feel rejuvenated and feel healthier. I even noticed that my skin looks tanner which for me is an awesome benefit! People in these reviews suggest the smell is not “manly” but for me it's refreshing and wakes me up in the morning. Definitely, a must have for all men of all ages. I had purchased this for my husband a few months back because he was to “manly” to use lotions or oil for his dry skin. Not only am I impressed with how well it has worked so is he. He really likes it especially because not only does his skin feel better but so does his beard. That’s a benefit I enjoy as well :) I tried it and what is nice is that it doesn’t feel heavy or take forever to soak into your skin. I think I will be buying the body nutritive serum because he’s getting upset that I am using his product.